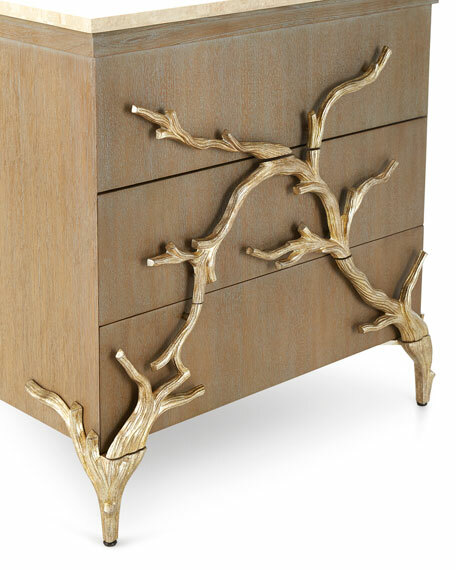 Made of mindi wood with oak veneer. 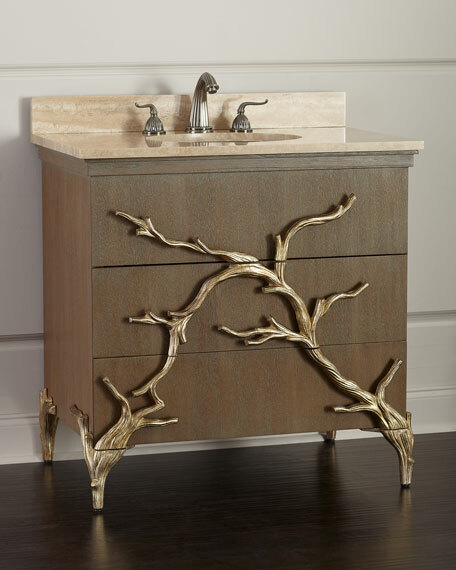 A dramatic cast tree branch creates the legs and drawer pulls on this stunning sink chest. 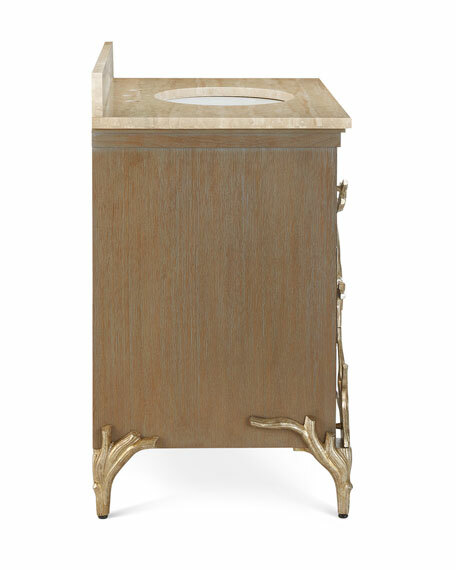 The warm wood finish complements the silver travertine stone top. Two working drawers. 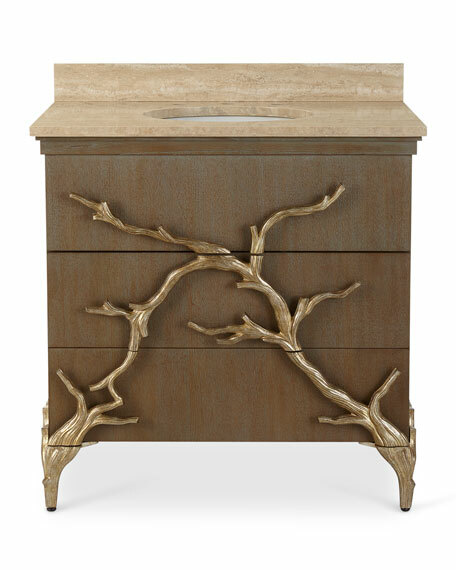 Handcrafted vanity with stone top. 36"W x 23"D x 36"T.